The Inn is a professional body that provides legal training, selection, and regulation for members. It is ruled by a governing council called "Parliament", made up of the Masters of the Bench (or "Benchers"), and led by the Treasurer, who is elected to serve a one-year term. The Temple takes its name from the Knights Templar, who originally leased the land to the Temple's inhabitants (Templars) until their abolition in 1312. The Inner Temple was a distinct society from at least 1388, although as with all the Inns of Court its precise date of founding is not known. 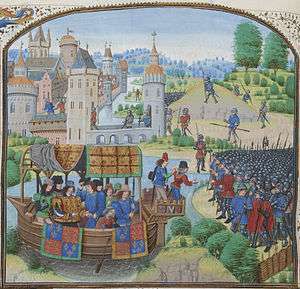 After a disruptive early period (during which the Temple was almost entirely destroyed in the Peasants' Revolt) it flourished, becoming the second largest Inn during the Elizabethan period (after Gray's Inn). The Inner Temple is one of the four Inns of Court, along with Gray's Inn, Lincoln's Inn, and the Middle Temple. The Inns are responsible for training, regulating, and selecting barristers within England and Wales, and are the only bodies allowed to call a barrister to the Bar and allow him or her to practice. The Temple is an independent, unincorporated organisation, and works as a trust. It has approximately 8,000 members and around 450 apply to join per year. Although the Inn was previously a disciplinary and teaching body, these functions are now shared between the four Inns, with the Bar Standards Board (a division of the General Council of the Bar) acting as a disciplinary body and the Inns of Court and Bar Educational Trust providing education. 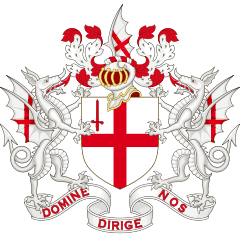 During the 12th and 13th centuries, the law was taught in the City of London, primarily by the clergy. During the 13th century, two events happened that destroyed this form of legal education; first, a papal bull of 1207 that prohibited the clergy from teaching the common law, rather than canon law, and second, a decree by Henry III of England on 2 December 1234 that no institutes of legal education could exist in the City of London. As a result the system of legal education fell apart. The common lawyers migrated to the hamlet of Holborn, as it was easy to get to the law courts at Westminster Hall and was outside the City. In 2001 the Inner Temple bought the neighbouring 1–2 Serjeant's Inn, which can be accessed directly from the Inner Temple, with the intention of converting it to barristers' chambers. However, instead, the premises has been let on a 99 year lease to Apex Hotels. No. 3 Serjeant's Inn has been a barristers' chambers, occupying commercial premises, since 1986. Mitre Court, which connects the Inner Temple area, Serjeant's Inn and Fleet Street, is occupied as barristers' chambers, residential flats and more recently, solicitors. The Temple is governed by the Parliament, an executive council made up of the elected Benchers. The Parliament is led by the Treasurer, who is elected annually to serve a one-year term; the current Treasurer is the Rt. Hon. Lord Justice Tomlinson and the immediate past Treasurer is Simon Thorley QC. The Temple also has a Reader, who traditionally holds the position for a year before being made the Treasurer; the current Reader is the Rt. Hon. Lord Justice Moore-Bick. The Inn contains several buildings and sets of buildings used to house chambers, with those rooms above the second floor generally being residential in nature. 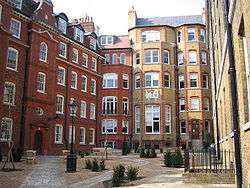 The sets are Crown Office Row, Dr Johnson's Buildings, Farrar's Building, Francis Taylor Building, Harcourt Buildings, Hare Court, King's Bench Walk, Littleton Building, Mitre Court Buildings, Paper Buildings and Temple Gardens. Harcourt Buildings were first built in 1703 by John Banks and named after Simon Harcourt, the Treasurer of the time. There were three buildings, 50 feet wide, 27 feet deep and 3 storeys high. Replacements were constructed between 1832 and 1833, and were not particularly attractive—Hugh Bellot said that they "could scarcely be more unsightly". These replacement were destroyed in 1941, and new buildings were built based on a design by Hubert Worthington. 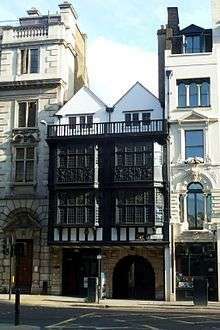 King's Bench Walk has contained buildings since at least 1543, although these were burnt down in the Great Fire of London in 1666 and their replacements destroyed in the fire of 1677. The buildings take their name from the Office of the King's Bench, which was situated in the row and destroyed in the 1677 fire. Buildings were reconstructed in 1678 and 1684, and a noted inhabitant of these early constructs was Lord Mansfield. The current buildings date from the first, 1678 construction to, most recently, chambers built in 1948. After the fall of the Templars the church, along with the rest of the Temple, fell into the hands of the Knights Hospitaller, and from there passed to Henry VIII, who appointed a priest, known as the Master of the Temple. The Royal Charter granted by James I that guaranteed the independence of the Inner and Middle Temples did so on the condition that the Temples maintain the church, a requirement which has been followed to this day. The first Prime Minister of Pakistan Liaqat Ali Khan was called to Bar in 1922 by one of his English law professor. Prime Ministers Clement Attlee and George Grenville have both been members; as was the first Prime Minister of Malaysia, Tunku Abdul Rahman; the first Prime Minister of India, Jawaharlal Nehru;, the indian independence activist, Mahatma Gandhi; the fifth President of India, Fakhruddin Ali Ahmed; the Chief Minister of West Bengal, Siddhartha Shankar Ray, Pt Ram Chandra Kukreti, one of the first barristers of Dehradun, India, was also its member. Outside of the law and politics, members have included the poet Arthur Brooke, Admiral Francis Drake, dramatist W. S. Gilbert, the economist John Maynard Keynes, King Jigme Khesar Namgyel Wangchuck of Bhutan and diplomat and Righteous among the Nations Prince Constantin Karadja. 1 2 "Archive Catalogue". Inner Temple. Retrieved 24 November 2009. ↑ "Gray's Inn". Gray's Inn. Retrieved 24 November 2009. ↑ "Lincoln's Inn History". Lincoln's Inn. Archived from the original on 25 October 2009. Retrieved 24 November 2009. ↑ "Home". Middle Temple. Retrieved 24 November 2009. 1 2 3 "Inner Temple". Inner Temple. Retrieved 24 November 2009. 1 2 3 4 5 6 7 8 Baker, John. "Inner Temple History – Introduction – Part I". Inner Temple. Retrieved 8 November 2009. 1 2 Baker, John. "Inner Temple History – Introduction – Part 2". Inner Temple. Retrieved 24 November 2009. 1 2 Rider, Clare. "Phoenix from the Ashes: The Post-War Reconstruction Of The Inner Temple". Inner Temple. Retrieved 24 November 2009. ↑ Rider, Clare. "Phoenix from the Ashes: The Post-War Reconstruction Of The Inner Temple – 2". Retrieved 24 November 2009. ↑ Rider, Clare. "Phoenix from the Ashes: The Post-War Reconstruction Of The Inner Temple – 3". Retrieved 24 November 2009. ↑ Baker, John. "Constitution of the Inn". Inner Temple. Retrieved 24 November 2009. ↑ "Who's Who". Inner Temple. Retrieved 24 November 2014. 1 2 "The Inner Temple Today". Inner Temple. Retrieved 24 November 2009. 1 2 Baker, John. "Inner Temple History – Pegasus". Inner Temple. Retrieved 8 November 2009. ↑ Temples Order 1971, released as part of a response from Under-Treasurer of the Middle Temple to a request made using WhatDoTheyKnow, accessed 16 September 2012. 1 2 3 "The Buildings". Inner Temple. Retrieved 4 November 2009. 1 2 3 4 5 6 "The Buildings". Inner Temple. Retrieved 4 November 2009. ↑ Baker, John. 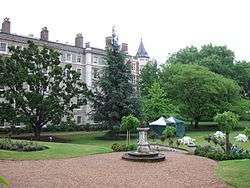 "Inner Temple History – The Gardens". Inner Temple. Retrieved 22 November 2009. ↑ Baker, John. "Inner Temple History – The Buildings – The Gateway". Inner Temple. Retrieved 22 November 2009. ↑ "Inner Temple History – The Buildings – Hall, Treasury, Benchers' Rooms and Library". Inner Temple. Retrieved 4 November 2009. 1 2 "Library History". Inner Temple. Retrieved 4 November 2009. ↑ "Library History – 18th century". Inner Temple. Retrieved 4 November 2009. ↑ "Library History – 19th century". Inner Temple. Retrieved 4 November 2009. 1 2 "Temple Church History". Temple Church. Retrieved 12 November 2009. ↑ "Temple Church History – The Round Church". Temple Church. Retrieved 12 November 2009. ↑ "Temple Church History – The Fall of the Templars". Temple Church. Retrieved 12 November 2009. ↑ "Temple Church History – The Royal Charter". Temple Church. Retrieved 12 November 2009. ↑ "Temple Church History – The 20th century". Temple Church. Retrieved 12 November 2009. ↑ "Temple Church History – Victorian Restoration". Temple Church. Retrieved 12 November 2009. ↑ "Inner Temple History – The Buildings – Temple Church". Inner Temple. Retrieved 12 November 2009. 1 2 3 4 "Famous Members". Inner Temple. Retrieved 24 November 2009.